L-00 Beneteau built for singer/songwriter, Ariana Gillis. 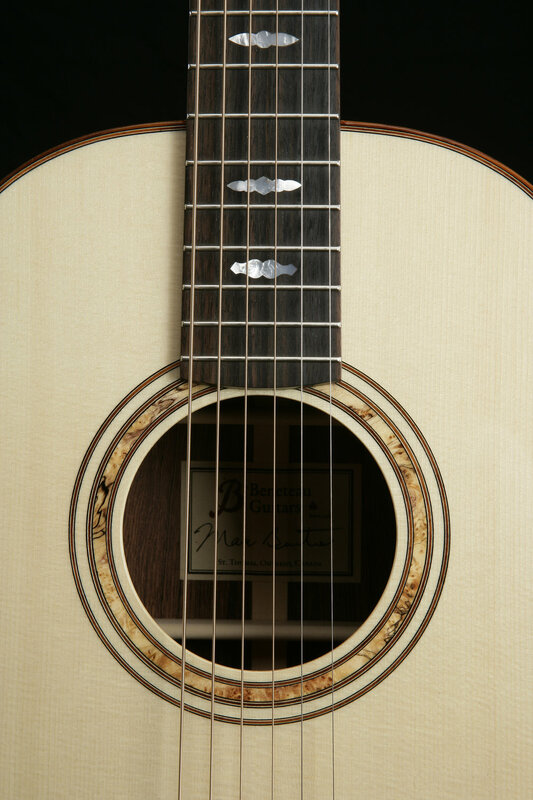 It features a Torrefied Sitka spruce top that was finished in Ivory at the request of the customer. 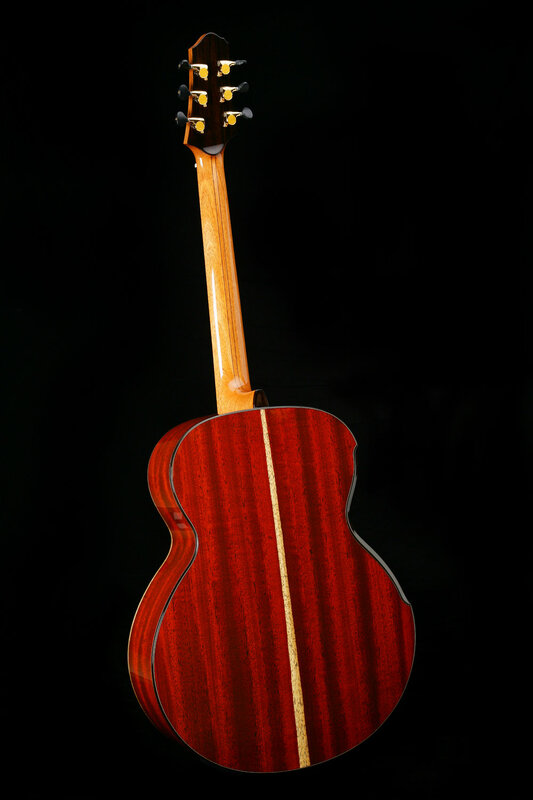 The back & sides are highly figured Koa with Bloodwood binding. 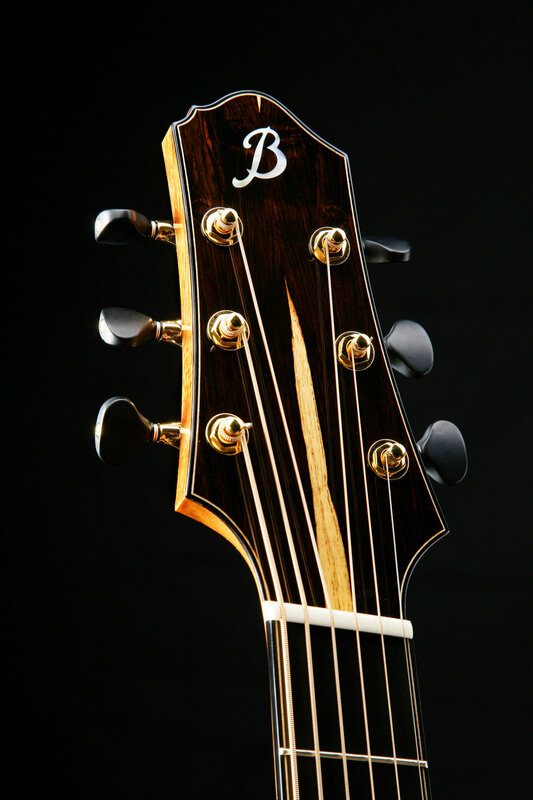 The headstock overlay is Ivoroid with a black pearl Beneteau script inlay. Snakewood bindings and matching Waverly gold tuners with Snakewood buttons. 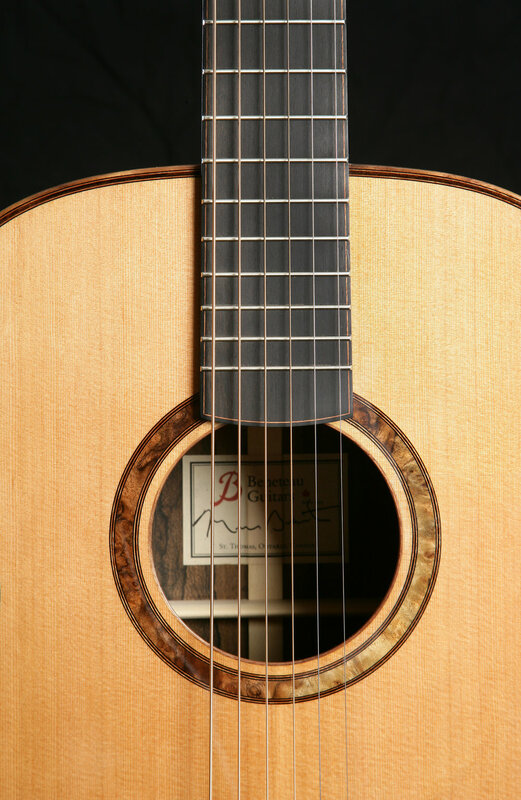 Neck joins at 13th fret giving credence to 1930's Gibson Nick Lucas design. The Orchestra Model – OM, was originally designed by the C.F. Martin & Company in 1930. This modern spinoff is based on the same OM body dimensions and shape but with a some custom order requests: Ziricote back and sides with matching headstock overlays and sinker Red Cedar top. 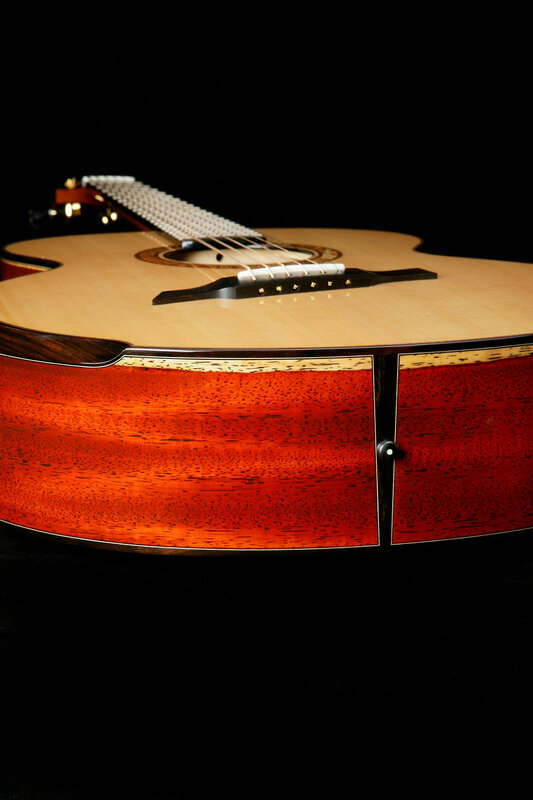 Grit Laskin Rib-Rest and top armrest, side sound port, and Alessi custom tuners. 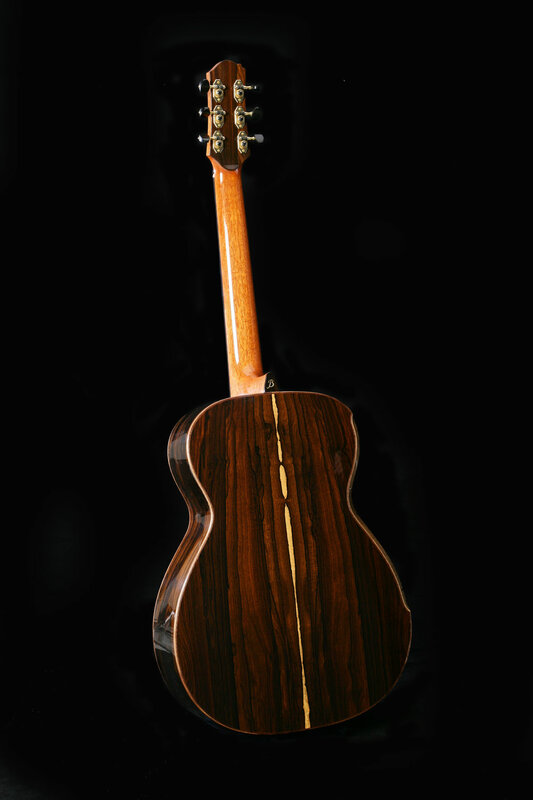 Fan Fret Jumbo with Padouk back & sides, Laskin Armrest & Ribrest, Novak Fan Fret system. A baritone model with Madagascar Rosewood back & sides, Lucky Strike Western Red Cedar top, finished with Ziricote bindings, Venetian Cutaway, Laskin Rib-Rest and Arm Bevel & Side Sound Port.